Millions of seniors live alone in the U.S. Social isolation is quite common among seniors because of transportation and mobility difficulties, bereavement, and retirement from the workforce, among other factors. When seniors suffer from social isolation, they are at a higher risk of emotional, mental, and physical health problems that can jeopardize their longevity and reduce quality of life. One effective solution is assisted living . In-home caregivers in Memphis provide both the practical assistance and the companionship that seniors need to live life well. For many seniors, loneliness becomes an unfortunate fact of life. Without the loving companionship of an in-home caregiver, many seniors have little to look forward to each day. When a senior believes that his or her loneliness will last for the rest of his or her life, it becomes much more difficult to bear. Seniors who are socially isolated are at a higher risk of developing clinical depression and suicidal thoughts or actions. Social isolation is a crucial source of cognitive stimulation. When seniors are chronically lonely, they may be more likely to display signs of memory loss, confusion, and other mental impairments. Studies also suggest that socially isolated seniors may develop dementia that progresses more rapidly than it otherwise would. The wellness of the mind can significantly affect the health of the body. Seniors who are socially isolated , particularly those who struggle with depressive symptoms, have been shown to have an increased risk of high blood pressure and other cardiovascular health problems. They are also at risk of falls that can cause disabling injuries and mortality is more likely. A possible contributing factor to the decline in physical health of a socially isolated senior is that there is no elder care provider to offer medication reminders, prepare nutritious meals, and assist with mobility. Seniors with depression may neglect to eat or take care of their personal hygiene. Some of them may even choose to self-medicate their loneliness with alcohol. These problems are certainly alarming, but they are also preventable. 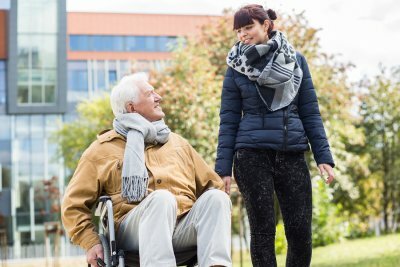 Assisted living services allow seniors to remain connected with others while still living independently in their own homes. When families have to come together to make decisions about elderly care for an aging loved one, there are several choices to make. 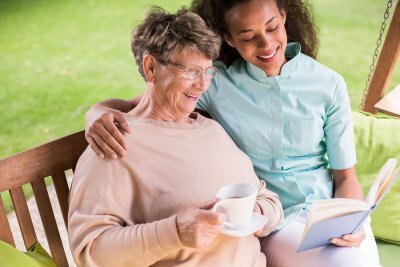 Even if you wish to provide the bulk of the in-home care yourself, respite care is an important thing to include in your plan. No caregiver can provide care without a break and still provide the kind of support he or she wants to give a loved one. 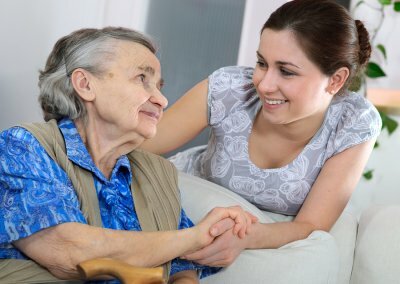 An in-home caregiver in Memphis can help you be the best caregiver you can by providing respite care. Respite care is a short-term relief to caregivers that allows them to focus on their own well-being, while feeling confident that their loved ones needs are being met. An elder care provider can provide respite care so you can have a lunch with a friend, an afternoon on your own, or a vacation with your family. Respite care can also help you keep up work duties or even catch up on sleep. It is an important way of caring for your own wellbeing, so you can then care for your loved one. For more than 20 years, Caring Companions has provided compassionate in-home care for families in Memphis. As a caregiver agency that is rooted in faith, our associates are particularly dedicated to serving others; in fact, we view it as our ministry. 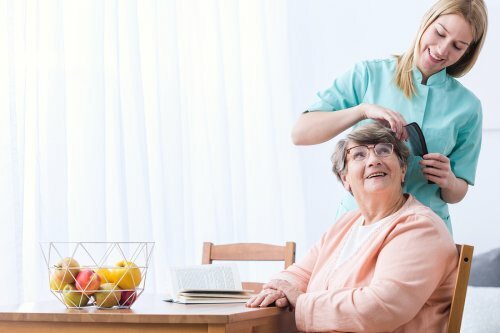 Our assisted living services encompass all non-medical needs that our clients may need, including personal hygiene care, ambulation, transportation assistance, medication reminders, incidental housekeeping, and specialized dementia care. Our suite of elder care services only tell part of the story of who we are. The professionals of Caring Companions have a keen understanding of the unexpected turns that life can take. We’ll be there for your family during the most difficult of times—from the diagnosis of serious illnesses to end of life care when the time has come. It’s our mission to help individuals live independently, with grace and dignity, but it’s also our mission to guide whole families through transitional times. When your senior loved one requires assistance after an illness or medical procedure, the stress of making decisions and planning for their needs can be difficult for your family. When deciding on transitional senior care services serving Memphis, there are a few things you can do to help the planning process go smoothly among your family members. Begin preparing and reach a decision as quickly as possible. Starting the planning process early is one of the best things that you can do to make the transition to in-home care less stressful for all involved. If your family members are in disagreement about the best strategy for providing your senior loved one with help, starting early and working continuously to make a decision is ideal. Once you realize that your loved one may need help at home, begin the discussion and talk with your family until you can reach a conclusion. Doing this can help you avoid being left without a plan or many options once your loved one is ready to come home. Explain to your family that change is necessary. In many cases, families disagree about assisted living options because they dislike the idea of someone that they don’t know caring for their loved one. Making it clear to everyone why your loved one needs help and why you and other family members might not be able to provide her with everything that she needs during this period can help those in disagreement gain a better understanding of the situation. Compare the benefits of different transitional care plans. There are many types of elder care programs available, and choosing the one best suited for your loved one can be challenging. First, speak with the senior to determine how she feels about having assistance at home. Next, talk to her doctors to learn what she will require help with during her recovery time. Once you know what needs will have to be addressed, you and your family can discuss transitional care plans with a better understanding of what support your loved one requires during this critical time. After surviving a stroke, your family member may require in-home care as she recovers. 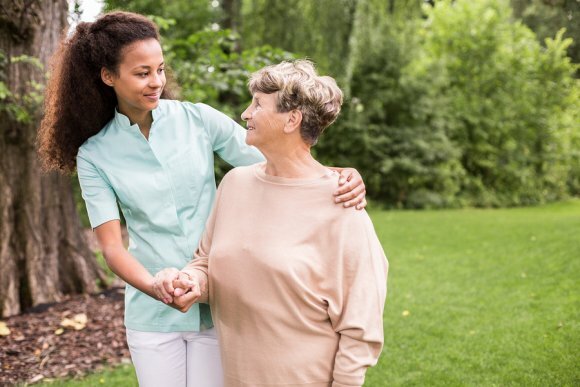 If you’re planning on acting as a caregiver in Memphis for a recuperating loved one, you may be wondering what you should do to make your home safer. During your loved one’s stroke recovery, it’s essential to examine your home for any obstacles that may cause her to trip and fall, such as end tables and area rugs. Make rooms and hallways as navigable as possible, leaving little room for injury. Next, consider installing grab bars in your showers and tubs. Combined with non-slip bath mats, these safety features can help prevent dangerous slips. Additionally, speak with your loved one’s doctor about what changes he suggests, and consult an occupational therapist for recommendations. Finally, consider talking to an assisted living agency regarding the alterations that you should make. These establishments frequently offer transitional and elder care services and are familiar with what home modifications are needed for recovering patients. If you have learned that your spouse has a life-threatening disease, you may be wondering what to do next and how to talk about terminally ill caregiving near Memphis . Discovering that your spouse has a terminal illness will mark the beginning of a powerfully emotional process for both of you. Talking about end-of-life care is often difficult to do, but is an essential part of the hospice care process. After first learning about your spouse’s illness, you may both find yourselves in denial and experience difficulty accepting the situation. Some people react by ignoring the news for a while, and others jump into action, seeking out potential cures and experimental treatments. 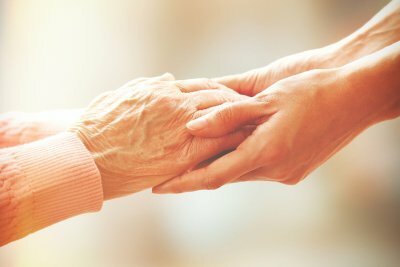 Procedures and medications can sometimes provide a respite for you and your loved one to enjoy more time together, but your loved one’s condition may become terminal, and their passing will draw nearer. At this point, there are several things you can do to make the time your spouse has left more comfortable. You will both be dealing with many feelings and reactions throughout your loved one’s illness. Allow for each of you to speak with each other, family members, medical professionals, and counselors as needed. It’s also important to make time to express your care for your spouse, offer any necessary forgiveness or apology, and to say goodbye. Talking about death is difficult for most people, and your loved one may resist this conversation initially. This is also the time to discuss practical matters, such as living wills, do-not-resuscitate orders, and health care power of attorney. Depending on your spouse’s illness, hospice services may be beneficial for both of you. Talk to hospice workers to learn if this type of care is right for your spouse’s situation. Additionally, ask your loved one what they need and want at this stage, and learn how you can make his or her passing as comfortable as possible. 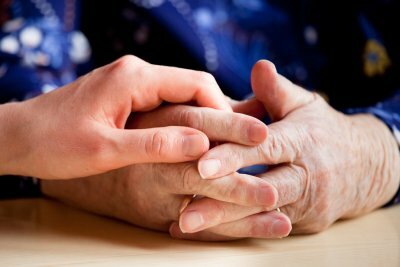 Caring for a senior loved one can be a rewarding, but challenging responsibility. 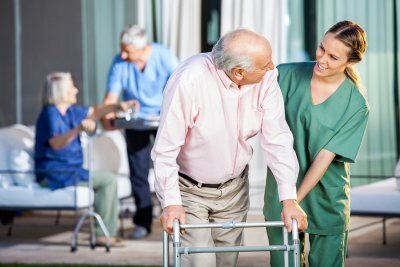 If you are caring for an aging loved one, you may benefit from senior assisted living services in Memphis. As a caregiver, it’s vital to be aware of your limits. Caring for a senior family member requires significant time and effort, and can be both physically and emotionally draining. Luckily, there are many places that caregivers can turn to for support. If you find yourself struggling with an aspect of your caregiving responsibilities, talk to your friends and family members. Also, your church or place of worship, therapists and counselors, and national caregiver associations are valuable resources to turn to for advice. When you need more time to take care of yourself or your family, it’s important that you don’t hesitate to ask for help. Speak with other family members about how they can contribute, and consider hiring an in-home caregiver for assistance. Other options include respite care, assisted living communities, and elder care services. Remember that asking for help can improve the quality of life for both you and your loved one.